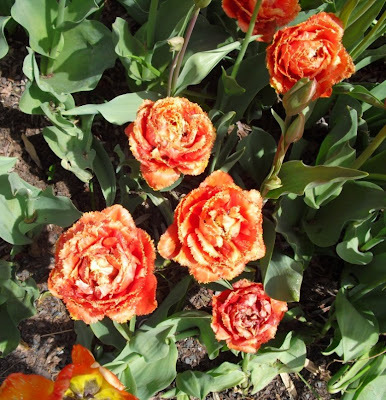 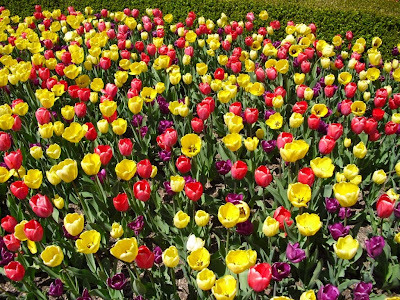 If you like tulips, the Chicago Botanic Garden is a good place to be in late April/early May. 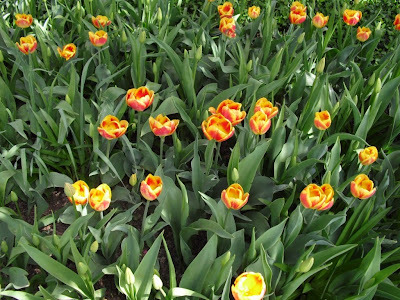 Here are just a few of the many that I saw last Wednesday. 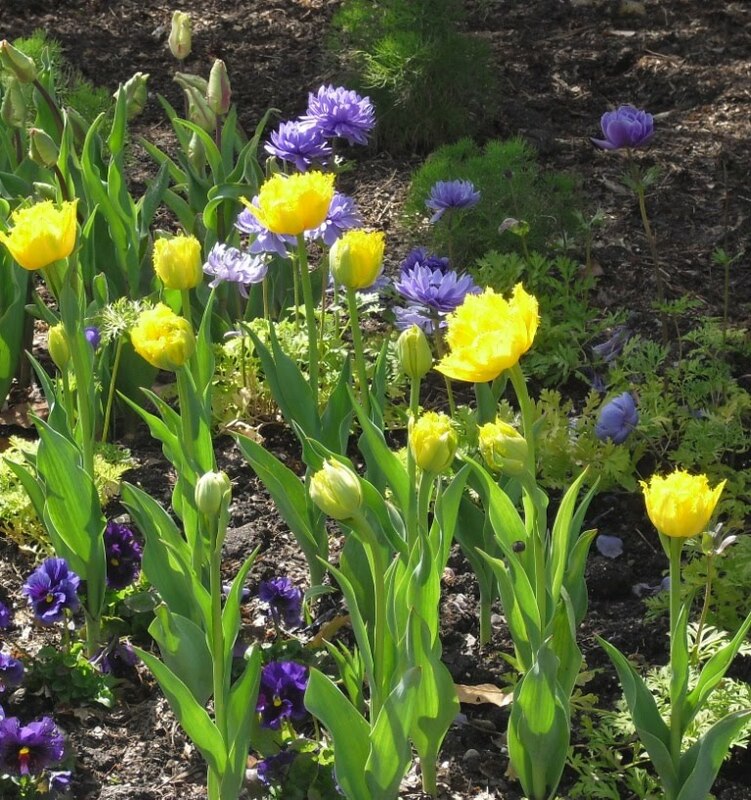 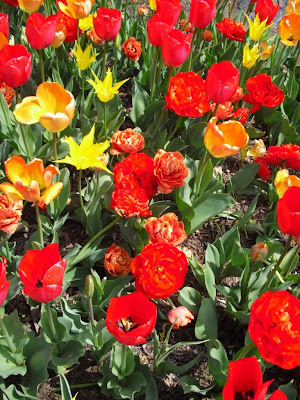 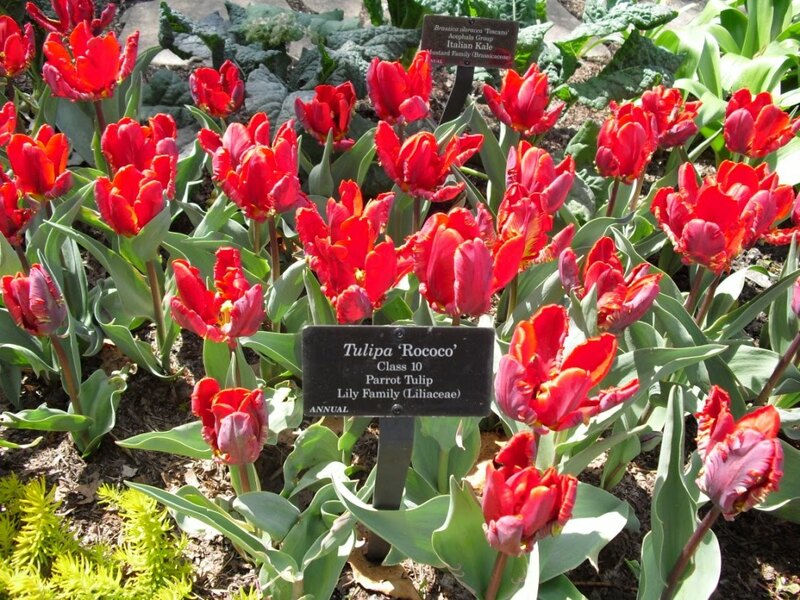 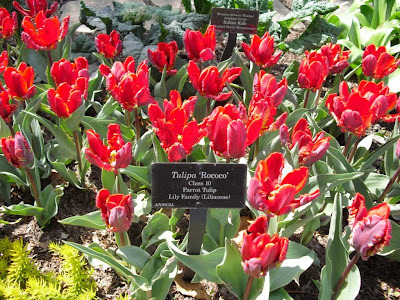 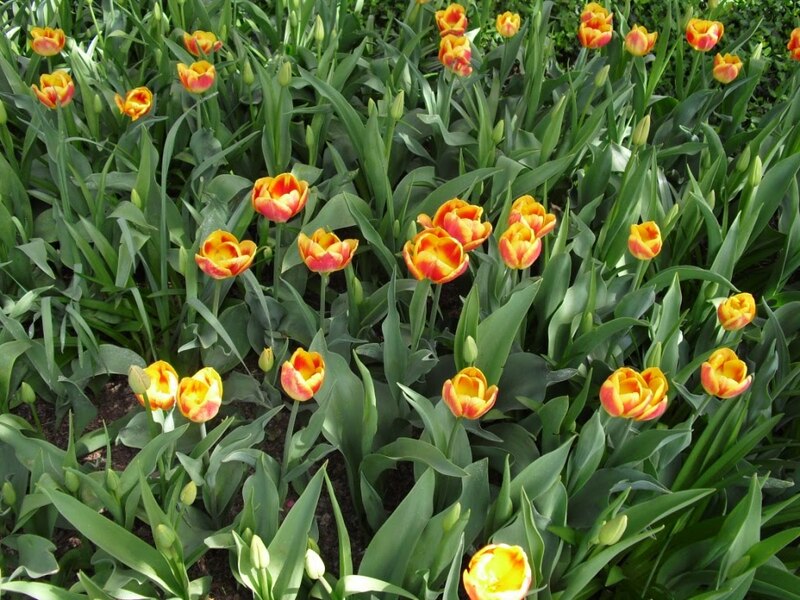 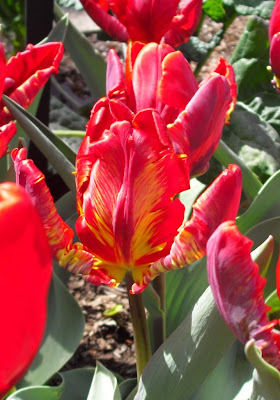 Field of brightly colored Tulipa varieties that greet you as you enter the Gardens from the Visitors' Center. Click this, and all of the following pictures, for a larger view. 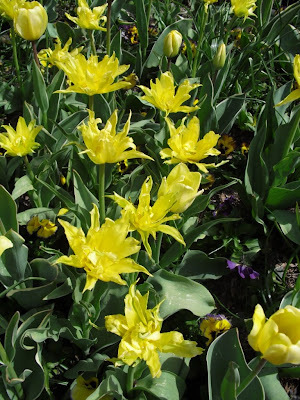 Part 3, which will include pictures of some more unusual spring flowering plants and bulbs, will conclude the series of posts from this visit.